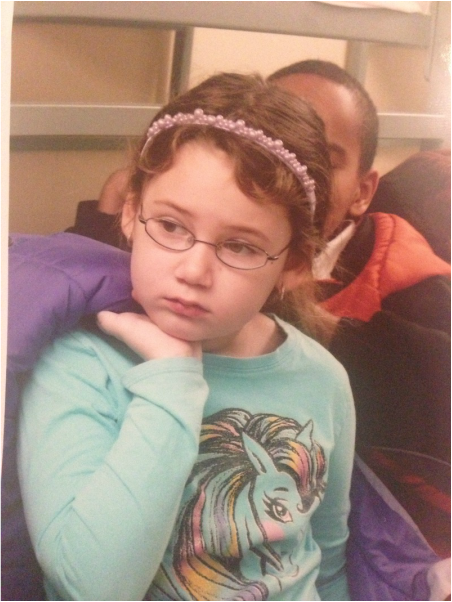 Emma was one of 24 second grade students from New Scotland Elementary School to be involved in the collaborative learning project lead by Mrs. Beth Indovina, and Mrs. Erin Reeve. Through this collaborative learning project the students went on field trips to The College of Saint Rose, The Albany City Mission, and the Ronald McDonald House. Through these field trips the students learned about about their community and reflected on their experiences creatively through poems, and other mediums as well. The children did many projects involving the places that they visited and the people that are important in their lives. I believe that learning projects that allow children to go outside of the classroom are the best way for students to learn life-long lessons, and skills that can't be taught in the classroom. 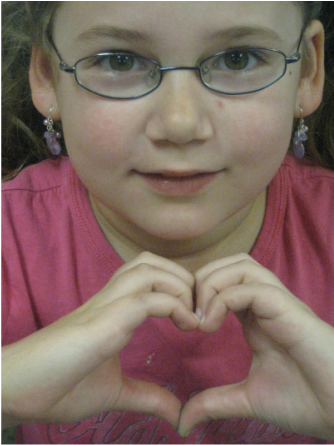 Click to below to listen to emma talk about her experience at the Ronald mcdonald house, her sister, and her special box. This is a photo taken of Emma and her fellow classmates from New Scotland Elementary School while visiting the College of Saint Rose. While at Saint Rose the students spoke about their experiences while visiting the Albany City Mission, and the Ronald McDonald House, and how those experiences relate to the theme of community. 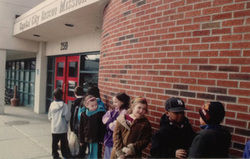 This is a photo of Emma and her fellow classmates from New Scotland Elementary School waiting outside of the Albany City Mission. When visiting the Albany City Mission these students learned about the meaning of community, and how certain people's views of community can be different.